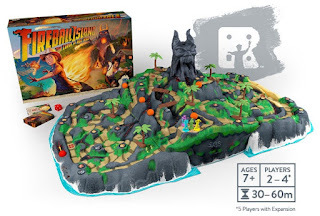 Not sure how many of you remember the game Fireball Island, but the good folks at Restoration Games are bringing it back with updated rules via Kickstarter!!! Restoration Games specializes on taking games from our childhood and modifying the rules to add depth and make them more strategic. I cannot wait to explore Fireball Island and risk getting knocked down by a tumbling marble out of the mouth of Vul-Kar! Do yourself a favor and check out the amazing 3-D molded island and the gifs of the marbles trailing around the island here. 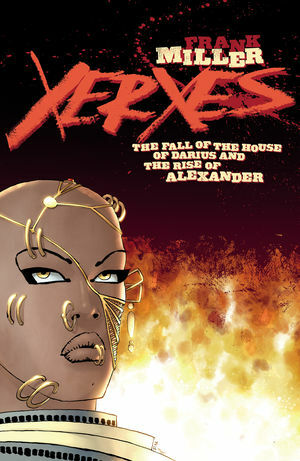 Xerxes: The Fall of the House of Darius and the Rise of Alexander #1 - After the debut of 300 almost 30 years ago, Frank Miller has returned to that world for the tale of the downfall of the Persian Empire. In this gory debut issue, we have a front row seat to the Battle of Marathon as the Athenians attempt to thwart their Persian foes. Not sure when we will see anything from the perspective of Xerxes, but this issue focused on Aeskylos and Themistokles, the captain of this army. Aeskylos is particularly entertaining, brandishing exotic weapons capable of slicing opponents in half due to the time he spends sharpening them. While the overall story didn't advance much, it was a nice reintroduction to this world and makes me want to reread the original series and watch the movie. Definitely looking forward to this one. Snotgirl #10 - Lottie and her fellow influencers wake up and learn that someone died at the convention they are all attending. Add to this the ghost that is currently haunting Lottie and it is clear that there is more going on at this remote motel than meets the eye. In addition to the murder mystery that everyone is involved in, there are emotions at play as relationships among the group are tested in a variety of ways. Bryan Lee O'Malley sure knows how to craft interesting stories as I would have never imagined reading a comic about a fashion influencer that make repeated references to Instagram followers who also suffers from allergies and has the nickname Snottie. But here we are. 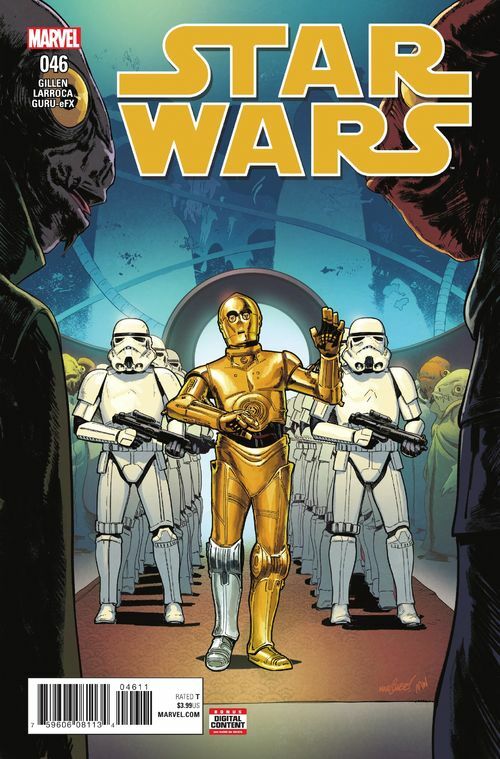 Star Wars #46 - In order to convince the Mon Cala to join the rebellion, Leia continues with her Ocean's 11-esque heist that involves a famous shape-shifting actor, hijacking the Moff of the Mon Calamari sector, and using his bio-scan to infiltrate a prison. While the plan sounds dicey at best, it doesn't appear to have hit any hurdles currently as this issue was quite straight forward. The highlight was C-3PO simply stating "Oh Dear" when he realized he was in charge. Still digging the series, but this issue felt a bit too easy. 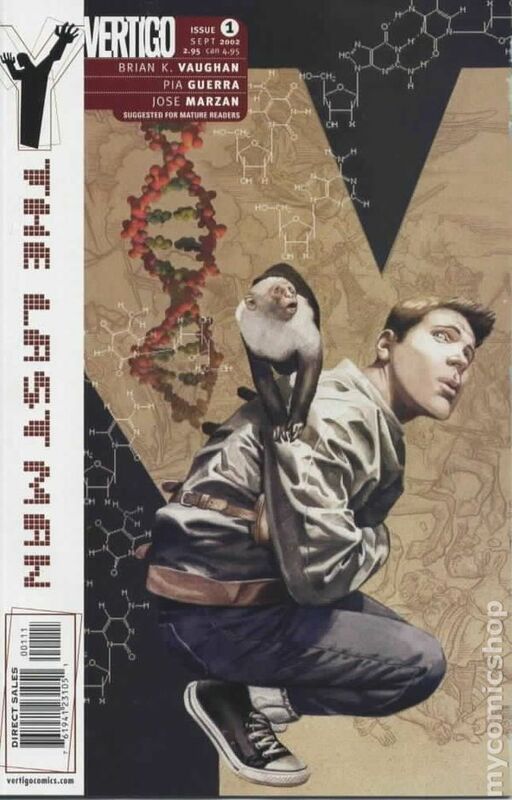 Y the Last Man #1 - I am not picking to get under the skin of The G (who is not a fan), but wanted to look back at some of Brian K. Vaughan's Eisner winning series. The first issue opens with the world in shock as a plague has apparently killed all of the male species on earth. All human men and animal men die suddenly and chaos ensues. We learn a bit more of some events that happened immediately prior to the plague, but don't really learn why something like this happened. The scenes where pilots, doctors, and other men die horrifying and are effective informing the reader of how horrendous like this something would truly be. We do know that at least one man, the illusionist Yorick, has survived. In addition we learn of a mysterious group called the Culper Ring and an amulet that other groups are willing to kill to get. It is mysterious opening to what becomes an incredible journey to get to the bottom of what truly happened. Vaughan does a great job introducing a wide variety of interesting characters, blends humor and drama exceptionally well, and demonstrates a knack for managing multiple complicated story lines with ease. Yorick also has a pet monkey named Ampersand who is quite awesome.